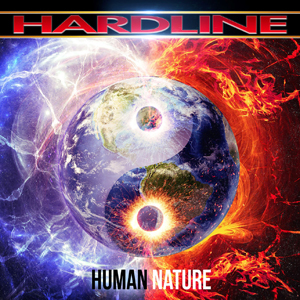 Frontiers Music Srl is excited to announce the return of HARDLINE with the brand new album Human Nature, set for release on October 14th. Following the rebirth of the band that happened with the release of Danger Zone in 2012, HARDLINE have regrouped around fabulous singer Johnny Gioeli (AXEL RUDI PELL) with the excellent production and keyboard skills of Alessandro Del Vecchio (RATED X, RESURRECTION KINGS, REVOLUTION SAINTS), the shredding talents of guitarist Josh Ramos (THE STORM), and the powerful rhythm section made up of bassist Anna Portalupi (TARJA TURUNEN) and drummer Francesco Jovino (PRIMAL FEAR, JORN). All these musicians have an impressive pedigree, but what makes HARDLINE special is how well their unique and different talents blend together. The goal for their new album was to have a heavier and updated version of the original HARDLINE sound. Think debut album, 1992's Double Eclipse updated for the 21st Century, with a grittier and more straight ahead sound. Anthemic, hard rocking songs are what you can expect from this record and hook after hook, riff after riff, you’ll find yourself wowed by this absolute monster of an album! "Where Will We Go From Here"
"The World Is Falling Down"
"Where The North Wind Blows"
"In The Dead Of The Night"